Below is the programme for the forthcoming 17th May 2003 convention. 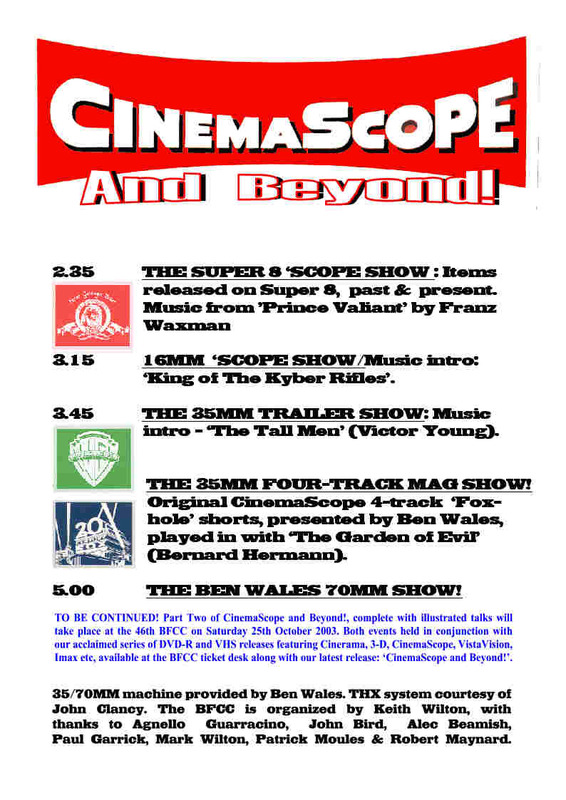 We are celebrating the 50th anniversary of Cinemascope - the anamorphic widescreen marvel introduced by 20th Century Fox in 1953. 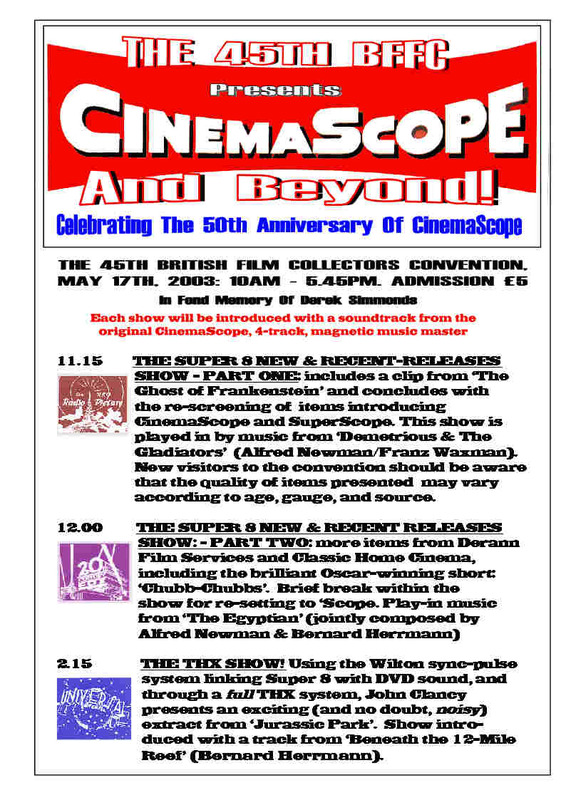 Looks set to be one of our most spectacular presentations and includes a wealth of new and recent releases from both Classic Home Cinema and Derann Film Services (see Links page for contact details). Also, at the time of writing we have more dealers booked to attend than the previous event. Hopefully the day will be popular and bring the film collecting hobby to yet more people.